Despite airing on American television over fifteen years ago Dragon Ball Z will likely always remain fresh in the minds of anime fans not only because it may have been the series which introduced them to the anime market but also because the series has often been re-released by FUNimation. With this release however FUNimation brings us Dragon Ball Z Kai Season Two which contains yet another twenty six episodes of the newly revamped series. For those curious about Season One you can find our review of it here. Does the newly revamped and filler free Dragon Ball Z Kai continue to impress with its second season? The second season of Dragon Ball Z Kai picks up exactly where the first season left off in the middle of the Namek saga. In an effort to revive all of the friends who were killed when the Saiyans came to Earth, Bulma, Krillin and Gohan have traveled to Picollo’s homework of Namek. However upon arriving the three find out that not only has Vegeta recovered and come to claim the dragon balls for himself, but a powerful force capable of destroying entire civilizations with just a wave of his hand has invaded the planet and begun systematically killing everyone who stands in his way. With such an insurmountable power laying waste to everything in sight and Goku yet to arrive, Gohan and Krillin have chosen to team up to try and survive against Frieza’s minions. 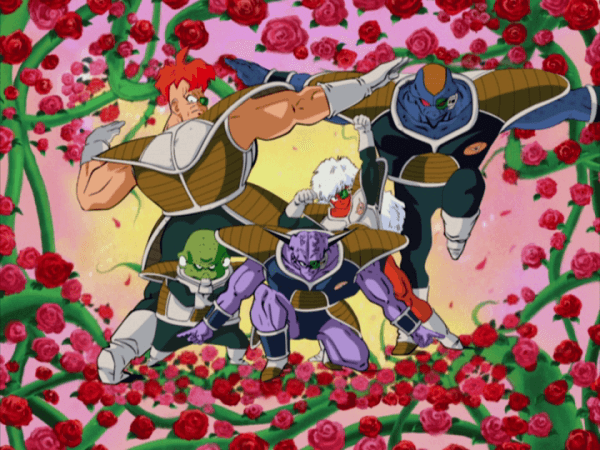 However does their combined force have any chance against the sinister Ginyu Force? 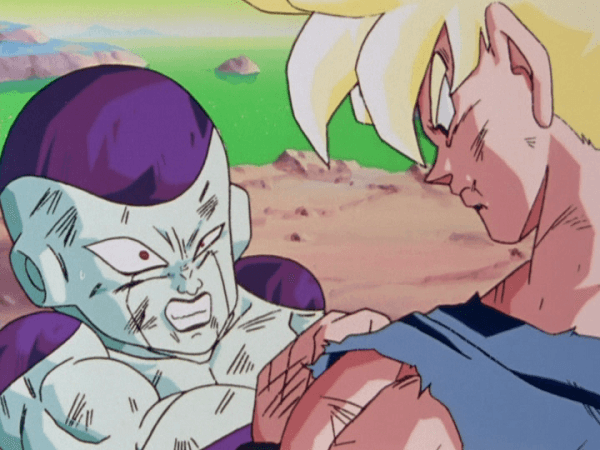 To top it off even after Goku arrives, the powerful Frieza makes his move on the surviving fighters. 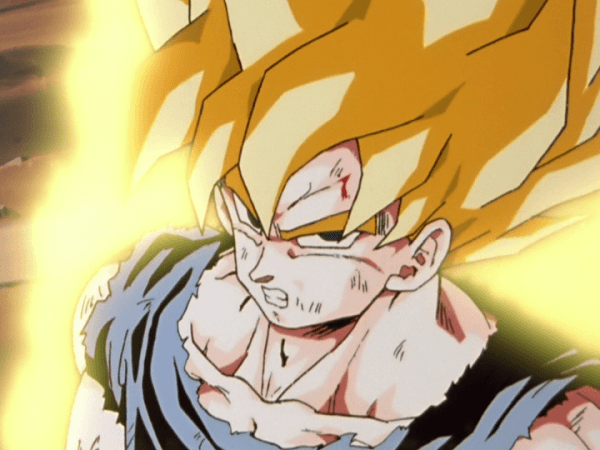 With his allies dying left and right, Goku’s anger swells and he becomes a being out of legend… a Super Saiyan! Can this huge boost in power give Goku the strength he needs to save what is left of his friends and destroy Frieza once and for all? 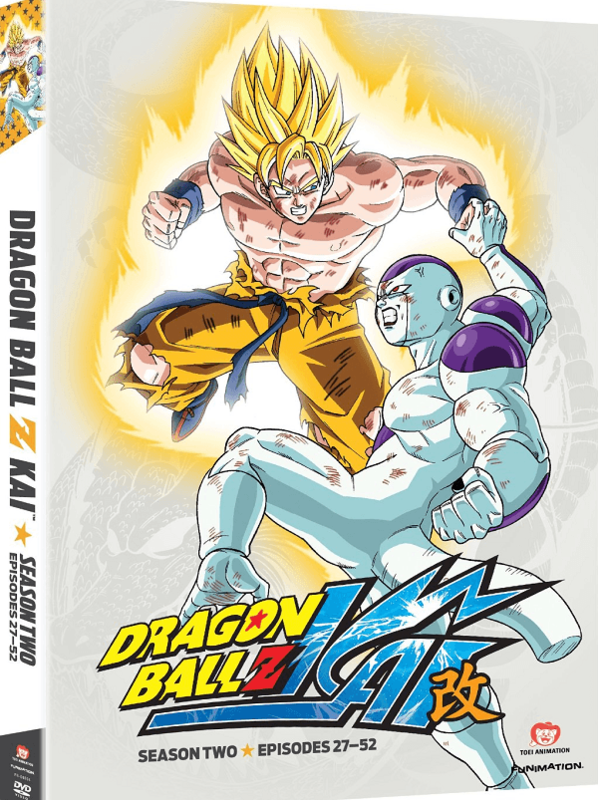 As with season one, this second season of Dragon Ball Z Kai covers another twenty six episodes of the series, effectively combining FUNimation’s previous Part 3 and Part 4 releases of the series. Ironically it is still visible on each disc’s main menu screen that these DVD’s have not been tailored for the Season Two collection as they display Part 3 disc 1 etc. As it stands however Kai still presents the most action packed and filler free presentation of Dragon Ball Z you could possibly ask for. Season Two covers the entire Ginyu Force Saga and strangely enough ends right before the final episode of the battle against Frieza. Obviously this little cliffhanger choice may be a great way to convince buyers to purchase the next collection to see Frieza finally defeated, but it is disappointing nonetheless. Unlike the first season, not as many episodes of filler have been removed, but then again most of the Namek saga consisted of fast paced action. As it stands there still are a number of sections removed and certain battle scenes which are cut down. This is a bit disappointing as some of the battle sections that were removed were quite memorable and their shortened length ends up impacting the enjoy ability of these fights. For what it is worth, Dragon Ball Z Kai still offers intense battle sections and dramatic moments, especially when beloved characters are killed in combat and the removal of plenty of irrelevant scenes puts fans exactly where they want to be, at the height of the action. As before a large number of scenes in Dragon Ball Z Kai have been redrawn or created from scratch in an effort to fix past errors and clean up the visuals of the relatively old series. It is quite noticeable however whenever the old visuals are swapped with new touched up scenes as most of the newer scenes have fewer detail lines and appear smoother than older scenes. 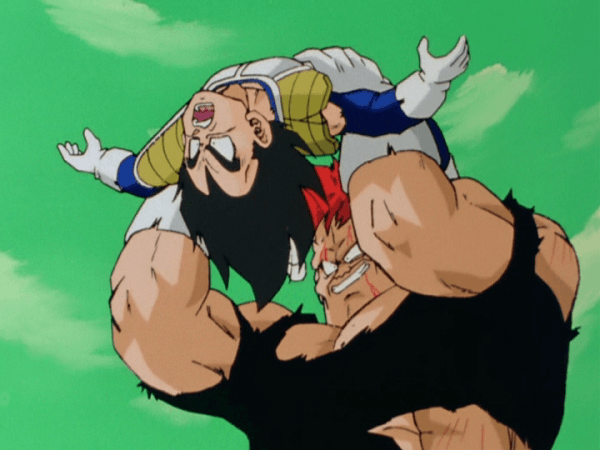 It is worth noting that Dragon Ball Z still offers plenty of action and the animation quality of the fights has only improved with these touched up scenes. As before the release is entirely uncensored so blood is visible whenever one of the fighters is seriously hurt. Powerful abilities are still as impressive as ever and the struggle between two fighters as their special abilities clash is as memorable as ever, especially Goku’s first transformation into his Super Saiyan form. FUNimation’s release of Dragon Ball Z Kai Season Two contains both the Japanese voice track as well as the English dub. It is worth noting that, considering a lot of the cast has been readjusted and the scenes have switched around, the entire series has been given a brand new English dub. Most of the main cast, such as Vegeta, Goku and Krillin have retained their classic voice actors and most of the new cast has performed their job admirably, such as Colleen Clinkenbeard’s Gohan voice. However nearly the entire cast of the Ginyu force has been replaced except for Recoome. Unfortunately the voice actors don’t seem to deliver the same feeling that the original voice actors did when they worked as a team, but at least the voice actor for Jeice still worked on providing an Australian-like accent for the character. As with season one, this second season features the fully English songs “Dragon Soul” and “Yeah! Break! Care! Break!” as the opening and ending songs, though the singer for these songs is consistent throughout season two. For the most part, Dragon Ball Z Kai Season Two contains relatively few bonus features. There are trailers for past and upcoming FUNimation releases as well as a clean version of the opening and ending songs which are shown twice, despite the fact that each song is the exact same. However there is one extra inclusion in this release and that is an interview with the English cast. The interview with the cast is an actual visual interview and lasts for seven and a half minutes. A number of the English cast, both returning and new, gives their opinions on Dragon Ball Z Kai and a bit of the show’s background, as well as their opinions of the characters they play. This is a nice little inclusion and offers something actually worth watching in the extras. Dragon Ball Z Kai Season Two successfully continues the great re-emergence of Dragon Ball Z in the anime scene. Although nearly everyone has seen Dragon Ball Z in some form since it was created twenty years ago, Kai offers the most streamlined and action packed form of the series you could possibly ask for. Season Two’s offering is as memorable as we may remember, however a number of the new English voice actors don’t deliver the same emotion as the old cast. Plus Season Two leaves viewers with only one episode left in the fight between Goku and Frieza, which is disappointing to say the least. As it stands however Season Two still presents Dragon Ball Z in its best light ever and old fans and newcomers alike will enjoy the high-risk battles between the Z Warriors and Frieza’s forces.